We have teamed up with Seek XR for an exciting new project! In case you haven’t heard about Seek XR, it’s an Augmented Reality (AR) app that allows you to see things through your phone. Wherever you point your phone, you might find little secrets or treasures in the air. Imagine Pokémon Go, but without Pokémon. Many Seek games also have treasure chests that can transform into real-life prizes. Which gets everyone excited! Recently, Seek created a Golden Rule Zen Garden experience. Please check it out and tell us what you think. Once you are in the app, download our ‘experience’ called “Golden Rule Zen Garden”. 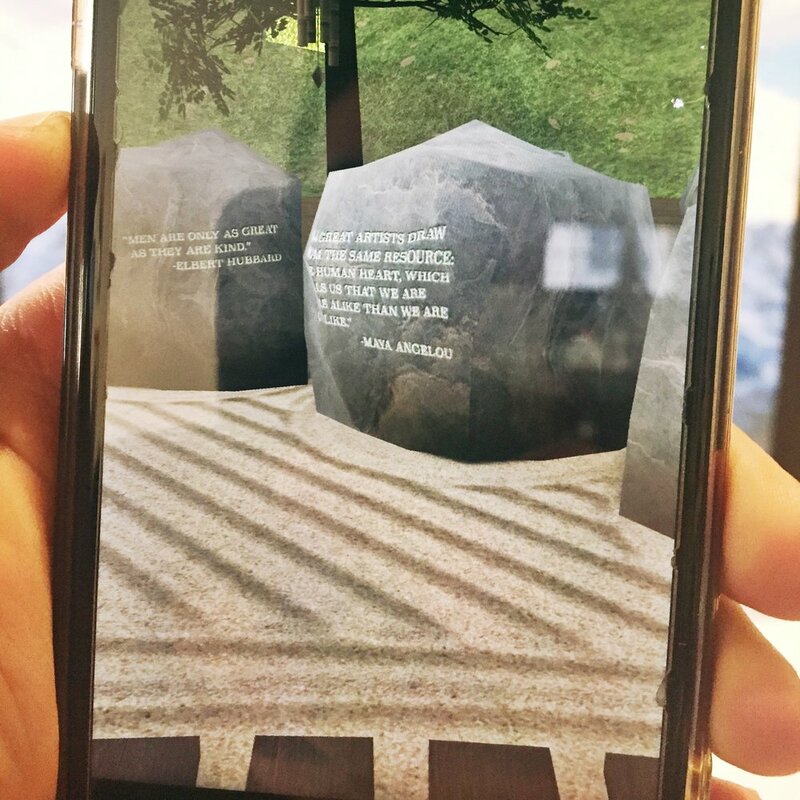 Find some peace, read some Golden Rule formulations, and enjoy this Golden Rule inspired AR experience. Seek has plenty of other experiences to check out, as well as treasures to find around the corner, so play with it and send us your feedback. Our next project with Seek will be a Treasure Hunt and we’ll tell you more as time approaches! For now, enjoy the serenity and beauty of our lovely Golden Rule Zen Garden in the AR world of Seek.